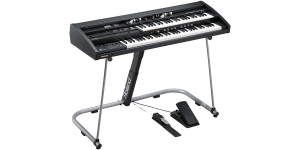 Atelier Combo AT-350C is packed with functionality and sound samples in a most perfect manner, including a real vintage organ, and all this you will get in a fairly compact housing suitable for live performances. The leading SuperNatural technology of reproducing high-quality sounds of instruments, available only in the best Roland synthesizers and the technology of virtual tone wheels are at your service. 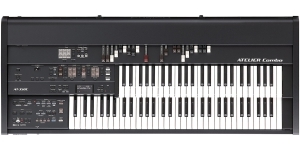 A classic double organ manual (49 + 64 keys), organ sliders and other adjustments, such as a modern D-Beam hand motion sensor. To use it on the stage, you can use your own evolving pads and prepared patterns - this instrument has a Composer (in fact it’s a sequencer with the ability to record on a flash card). 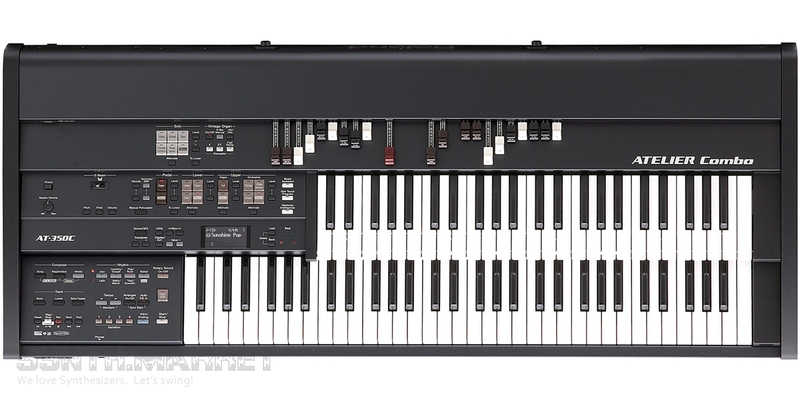 The instrument ensures basic MIDI support, USB (computer port, flash drive connector, MIDI command via USB), has all the necessary connectors for external controllers, such as pedals and, of course, separate stereo outputs. Getting to know this Atelier Combo AT-350C portable orchestra closer, you will undoubtedly want to get it, despite its price, because it is a convenient, reliable and beautiful multifunctional instrument that can be used both on stage and in the studio, and even at home. In addition to the samples of the organ, it also contains the sounds of wind instruments, keyboards, percussion and sounds of special effects.